On Thursday the Presidency said the retention of the Presidential Aircraft , in London where President Muhammadu Buhari is receiving medical attention was borne out protocol, national security , diplomacy and prestige . Garba Shehu the Senior Special Assistant to the President on Media and Publicity , said this in a statement made in Abuja. 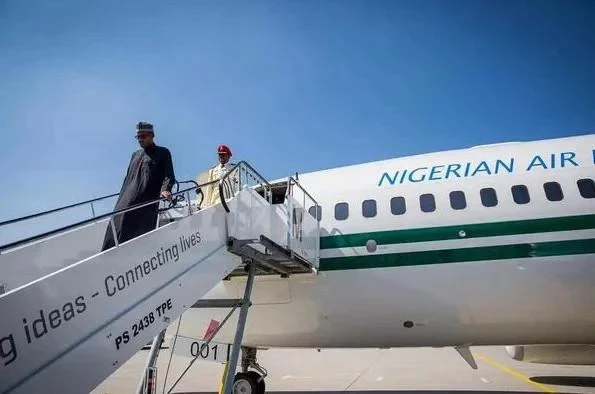 Garba reacted to a recent report especially on the social media over an outrageous fee being paid for parking the aircraft in London since May 10 when Buhari embarked on his second medical vacation for the year . Shehu said that there is no world leader who travels abroad and is left without plans for immediate return . He explained that , “ The Presidency is constrained to decry criticisms , mostly on social media , on the retention in London of the Presidential Aircraft, NAF 001 as mostly informed by lack of understanding of protocol around foreign trips by Heads of State all over the world .